At a time when comedy has struggled mightily at the box office, Haddish has proven the great exception. 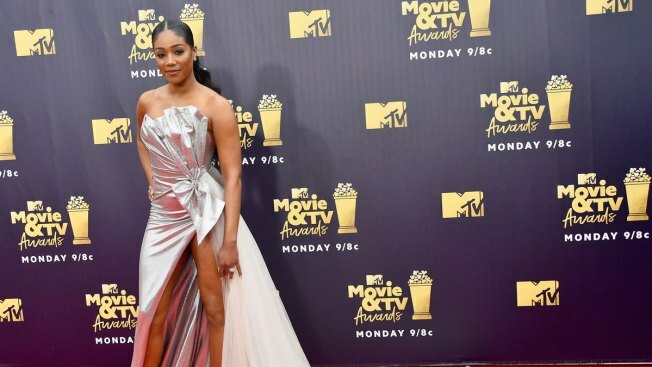 What's the best thing that's happened to Tiffany Haddish in the past year? Tough question. The 38-year-old comedian takes a deep breath. "Meeting Oprah, getting a Tesla, hosting the MTV Movie and TV Awards, winning awards, going on trips, staying in different countries, getting an award in Canada. Going to Africa was really super awesome. Getting to meet my aunties and cousins that I hadn't met before. Having the funds to get my mother out of a mental institution — that's freaking amazing — and getting her the best doctors. Being able to afford to take care of my grandmother. That's really better than everything." A year after her breakout role in "Girl's Trip," Haddish is indeed busy. At the top of the list is the Tyler Perry written-and-directed comedy "Nobody's Fool" (Nov. 2), which pairs her with Tika Sumpter. They play sisters (with Whoopi Goldberg as their mom) who once Haddish's character gets out of jail discover that Sumpter's boyfriend is catfishing her. She'll also star alongside Kevin Hart (who for years has been a mentor to Haddish) in "Night School" (Sept. 28) and appear in Ike Barinholtz's dark comedy "The Oath" (Oct. 12). Haddish is also prepping a Netflix stand-up special, attending the Emmys as a nominee for hosting "Saturday Night Live" (she became the first black stand-up comic to host), developing a sitcom with Danielle Sanchez-Witzel ("The Carmichael Show") and readying season two of "The Last O.G.," with Tracy Morgan. And that's to say nothing of her litany of projects due next year. With blistering speed, Haddish has become one of Hollywood's most in-demand talents. Everyone from Paul Thomas Anderson to Judd Apatow (who's interested in adapting Haddish's memoir, "The Last Black Unicorn") wants to work with her. And this fall, she'll be everywhere. It's the culmination of Haddish's inspiring rise from a difficult upbringing to the highest reaches of show business. Haddish has said she was abused as a child before entering foster care, and later was briefly homeless while trying to make it as a stand-up in Los Angeles. But her confidence in her future never wavered; Haddish's production company is named after her personal slogan: She Ready. "People always say, 'Are you surprised?' No, I'm not surprised. I manifested this," says Haddish. "This is part of my list of goals. I'm grateful I've accomplished this much so far, but there's so much more I want to do. I want to build my own studio one day. I've got my little production company going and I want to create things that inspire people to be their best selves." But at a time when comedy has struggled mightily at the box office, Haddish has proven the great exception. She hopes to keep going right until her studio and self-help center sits on the corner of two streets: Tiffany and Haddish. She will make it happen, she insists. "And I will be changing people's lives for the better."